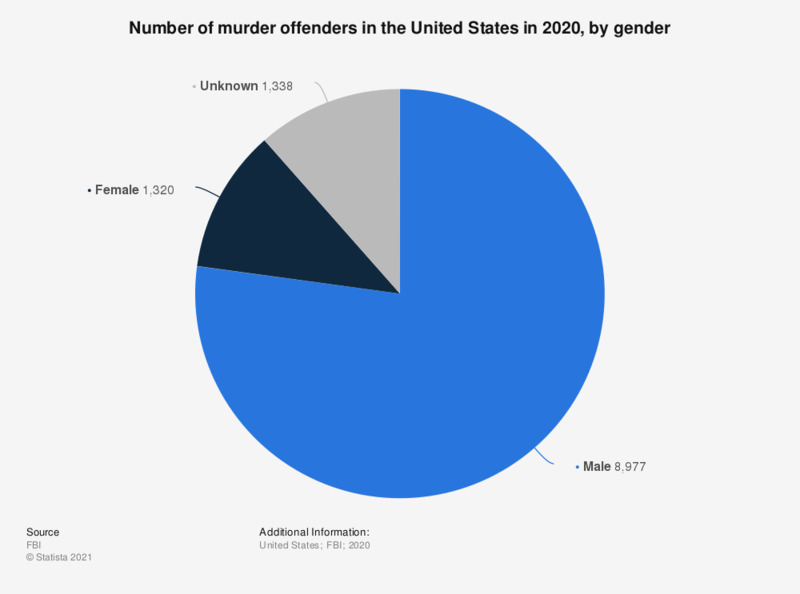 This graph displays murder offenders in the United States by gender in 2017. In 2017, there were total 11,862 male offenders, of the offenders for whom gender was known. A ranking of the number of murders by U.S. state can be found here. Everything On "Violent crime in the United States" in One Document: Edited and Divided into Handy Chapters. Including Detailed References. Statistics on "Violent crime in the United States"